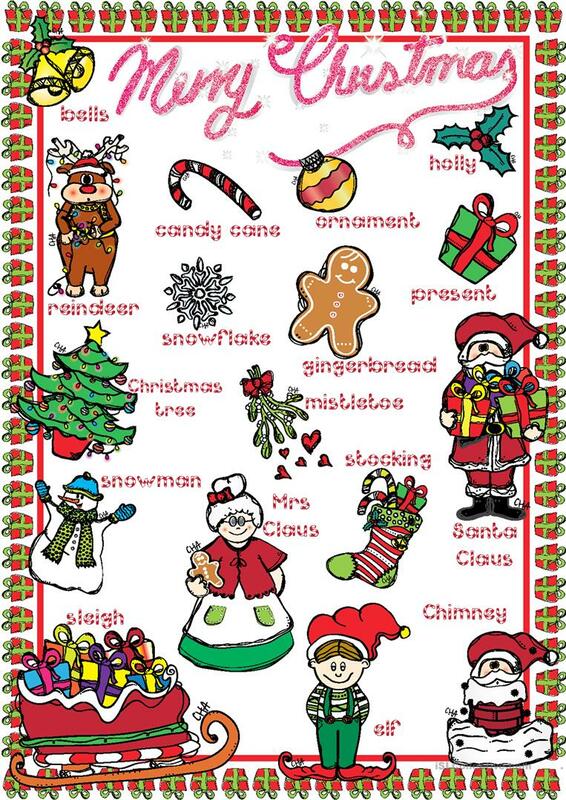 Christmas POSTER - I hope you like this poster to decorate your classroom, so children can learn the Christmas vocabulary easily! They are so happy with this one because... Christmas is coming soon! Enjoy!. Cha. This downloadable teaching material is intended for elementary school students and kindergartners and nursery school students at Beginner (pre-A1), Elementary (A1) and Pre-intermediate (A2) level. It centers around the vocabulary topic of Christmas.